Alternate sources of omega-3 fatty acids are detailed in a new article and video titled Reduce Dangerous Inflammation: Alternative Sources of Omega 3 Fatty Acid. Both the article and video from Health News Wires provide important information about various alternative, natural sources of omega 3 fatty acid. Alternate sources of omega-3 fatty acids are detailed in a new article and video titled Reduce Dangerous Inflammation: Alternative Sources of Omega 3 Fatty Acid. Both the article and video provide important information about various alternative, natural sources of omega 3 fatty acid. The western diet, full of saturated fats, sugar, salt, processed foods and genetically modified organisms (GMOs) wreaks havoc on the body, causing chronic inflammation that increases the incidence of diabetes, mental health disorders, obesity, heart disease, arthritis and acne. Knowing this information, Omega 3 fatty acids have become an essential part of a healthy diet. The most effective way to prevent inflammation is through an anti inflammatory diet. An anti inflammatory diet eliminates processed foods, sugar, and most saturated fat while increasing the amount fresh organic fruits and vegetables, spices, whole grains, and omega 3 fatty acids consumed. While wild cold-water fish provide the most efficient and bio-available source of DHA and EPA, the effective components of omega 3 fatty acids, they are not always readily available. The report and video from HealthNewsWires.com reviews natural plant and supplement sources of inflammatory-fighting omega 3 fatty acids. Some of the anti inflammatory diet foods discussed in the article include avocados, chia seeds, raw nuts, and all-natural fish oil and krill oil supplements. 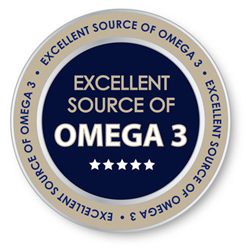 Each alternative source contains various beneficial components of Omega 3, including ALA, EPA, and DHA - all essential for reducing inflammation and improving health. The complete Reduce Dangerous Inflammation: Alternative Sources of Omega 3 Fatty Acid article and video are available at http://healthnewswires.com/reduce-dangerous-inflammation/. A free report titled 15 Foods That Damage Your Heart is also available from Health News Wires. The new report describes 15 of the worst foods for your body. The 15 Foods report also details 15 of the top inflammation fighting foods for your body, including the best, all natural supplement for reducing inflammation and lowering the risk of obesity, diabetes, and heart disease. The complete 34-page 15 Foods That Damage Your Heart report is available for immediate download at http://www.healthnewswires.com/15-damaging-foods-report/. About: HealthNewsWires.com is a new website that was launched in June of 2013 in order to educate the community in the importance of health and wellness. Most recently, they released a video reviewing the Anti-Inflammatory Benefits of Krill Oil.